Danish painter, born on the island of Saint Thomas in the Antilles, who in 1830, the year of his birth belonged to Denmark. French nationality would not be granted until 1872, although the Danish nationality was retained throughout his life. His family, and especially his father, were always opposed to his painting. 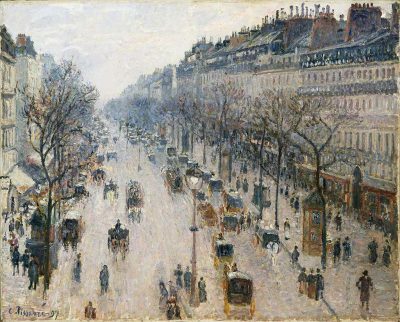 He was one of the founders of the Impressionist movement, although he studied in Paris at the School of Fine Arts, which had a markedly academic style. 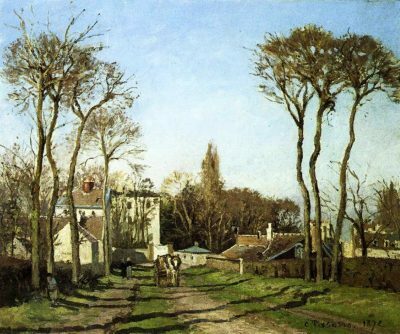 He painted scenes of French life, both rural and urban, but because of his socialist political ideas, close to anarchism, he painted the workers of the countryside, the peasants carrying out their work. In Paris, he had as outstanding students Cézanne and Gauguin. He died in Paris in 1903.